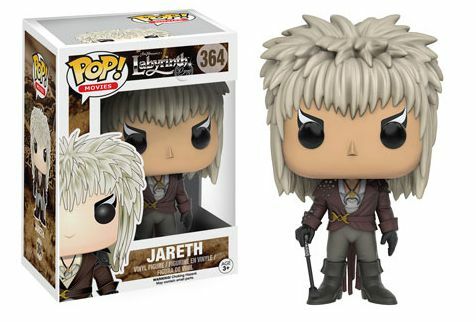 Labyrinth gets the Pop! 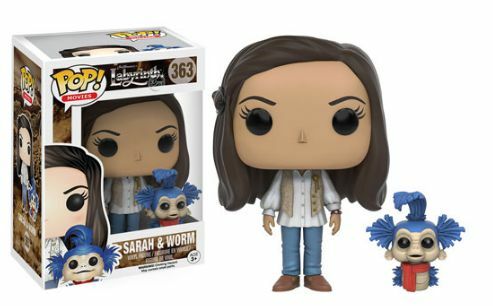 Movie treatment, adding fantasy and adventure with the Funko Pop Labyrinth line. The set includes many of the memorable characters from the Jim Henson-directed movie. The cult classic film, which celebrated its 30th anniversary in 2016, stars a young Jennifer Connelly as Sarah while David Bowie portrays Jareth the Goblin King. Labyrinth follows Sarah's adventures as she tries to rescue her baby brother, Toby, after wishing he'd be taken away. Once she realizes Jareth took Toby, the Goblin King magically transports her to his kingdom where she must escape his Labyrinth within thirteen hours before Toby is turned into a goblin. It is in the maze where Sarah receives help from a dwarf, Hoggle, and the large, kind-hearted creature, Ludo. 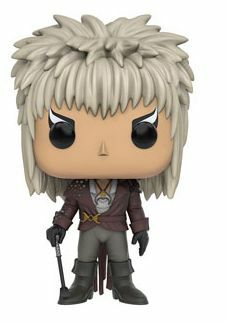 Order Labyrinth Pop Figures on Entertainment Earth. Numbered as part of the Pop! 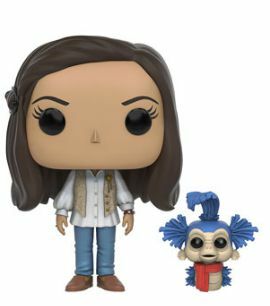 Movie line, the Funko Pop Labyrinth figures accurately depict both human and muppet characters. 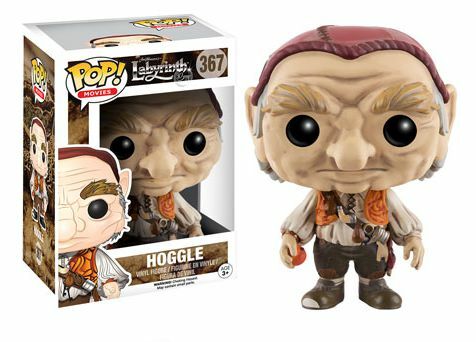 Jareth's white hair is perfectly spiked and Hoggle is even holding the peach in his hand that he gives to trick Sarah. 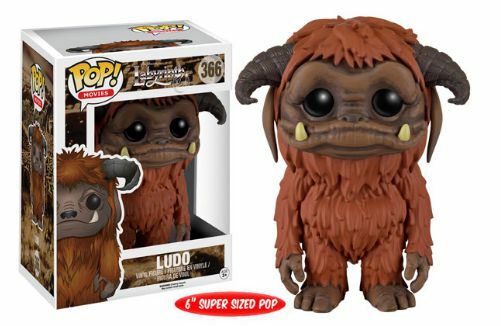 The majority of the vinyl figures stand approximately 3 3/4" tall, however, Labyrinth fans are in for a treat as Ludo will come as a 6" super-sized Pop. 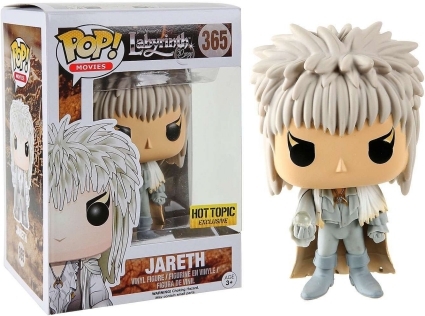 #365 is in fact a Hot Topic exclusive Jareth Pop with his grey outfit and cloak. Funko POP! 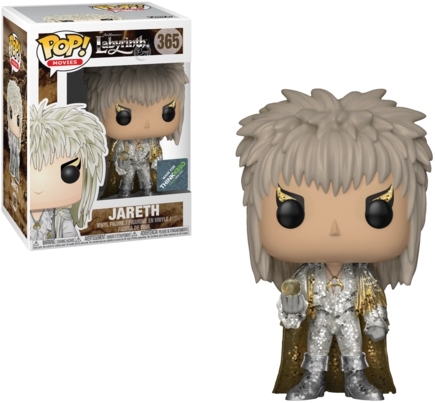 Movies Labyrinth Jareth Glitter 365 ThinkGeek Exclusive w Protector!